We decided to tell the elegant ladies which fashion trends of formal dresses 2019 will prevail this season. Evening dresses are the most important detail of women’s wardrobe. A well-chosen dress can turn an ordinary woman into a real goddess. It is no coincidence that, on the eve of important events, women try to find the spectacular outfit. Formal dresses 2019 with veil. Capes and train are in trend. Such details give an evening dress dizzying lightness, solemnity and real chic. In addition, they lengthen the silhouette and make a woman slim and elegant. In case you decide to choose such dress, you shouldn’t forget that you’ll have to slow down your movements in such dress. You will need to constantly monitor your hem so that no one steps on it. In case you are going to an event where you have to move a lot, for example, to a graduation party, then you should think about a dress with a shorter train or a dress with a transparent veil. Mallet dresses are also in formal dresses 2019 trends. The cut of this outfit is different in that it has a split-level hem. They are suitable for women of any body type. By adjusting the length, you can correct the figure flaws. Asymmetrical lines give a certain charm to the look. Dresses with tiered ruffles, folds, and frills are also in formal dresses 2019 fashion. Dresses with such elements are perfect for various celebrations, romantic meetings and New Year. Moreover, folds, ruffles, flounces can be on any parts of the attire: in decollete area; around the waist; on the sleeves. Details can be almost imperceptible and can represent a real waterfall, iridescent with all the colors of the rainbow. 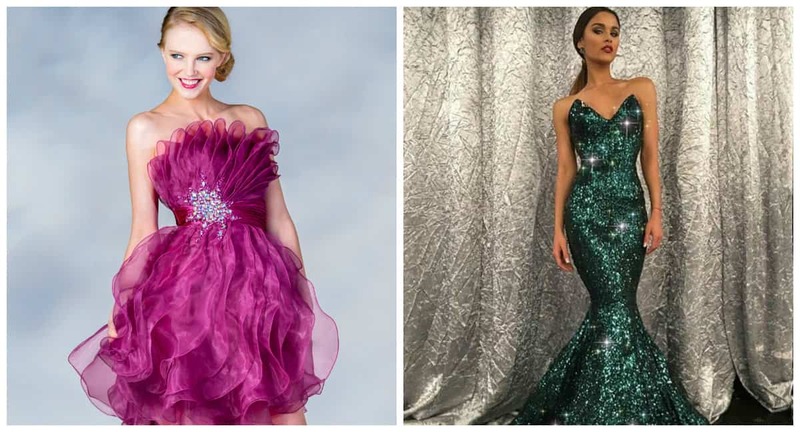 Mermaid style dresses are in formal dresses for women 2019 fashion. It resembles a shape of a famous fairy-tale character. Long dresses of such silhouette have become classic. We constantly see them at various awards, celebrations of major events. They feature Hollywood stars on red carpets of film festivals. It is not difficult to guess that every woman, who has a beautiful figure, wants to have long dresses of this style. Bandeau dresses and bustier ones are also trendy. Not one solemn event is complete without women’s dresses with a bare top. Now, there are many wardrobe items, with which you can close the open areas of the body: boa, shawls, stoles. Transparent formal dresses 2019 are also fashionable. These dresses continue to be popular at various social events. Often in such dresses stars of theater and cinema appear. Although such item of female wardrobe is not always convenient. 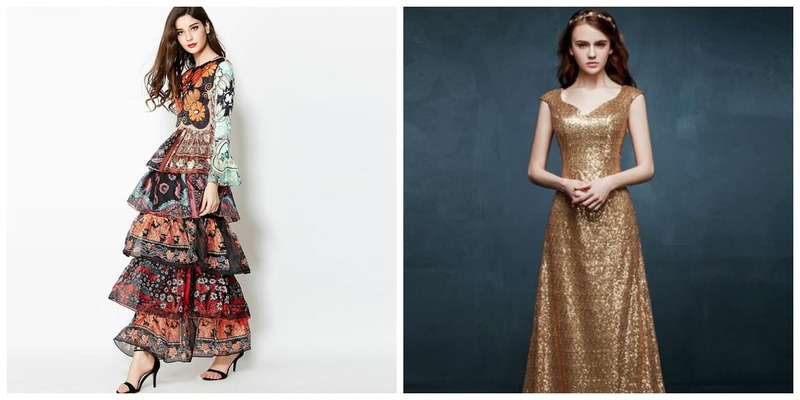 Evening ensembles with applique and floral embroidery will be fashionable in formal dresses 2019 trends. Fashion of autumn-winter period is replete with bright colors. Don’t make exceptions for formal dresses for women 2019. They can be seen in almost all famous designers’ collections. High cuts and bold cut necklines are gaining momentum. 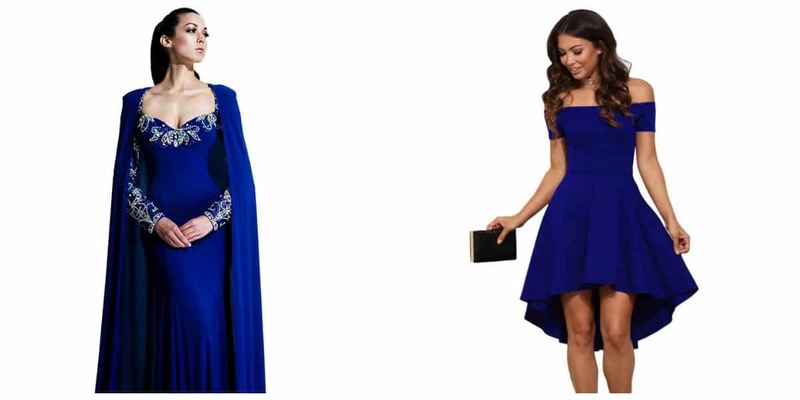 Some styles of formal dresses for women 2019 surprise so much that, it seems, they are designed more for a beach than for a secular party. Cutouts sometimes also reach the waistline. 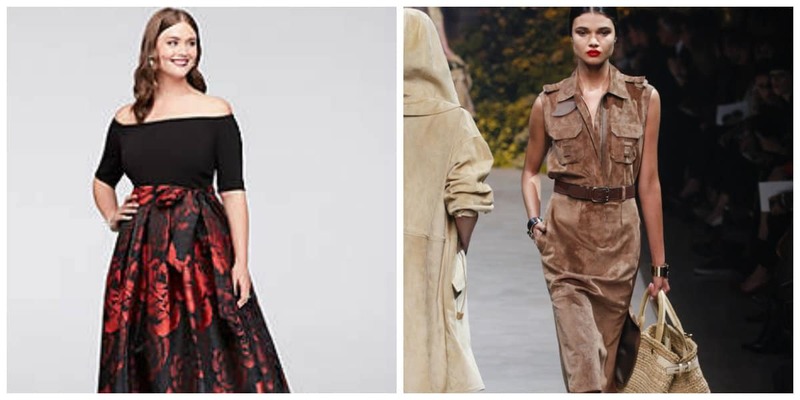 Proliferation of such stunning outfits is promoted by new items from designers such as T. Shoji, D. Koma, Marchesa, B. Mohapatra, F. Puglisi et al. Currently, most girls for an evening loo choose dresses of medium length. It is appropriate for all occasions: at prom; for a friendly party; on the New Year; for a romantic meeting. According to generally accepted rules, it is recommended to wear short dresses only if the party begins before seven o’clock in the evening. Sheath dress has a semi-adjacent silhouette and doesn’t have a horizontal cut line. The dress has vertical tucks on the back. Such cut slightly pulls the silhouette and due to this the figure of a girl seems to be more slender. 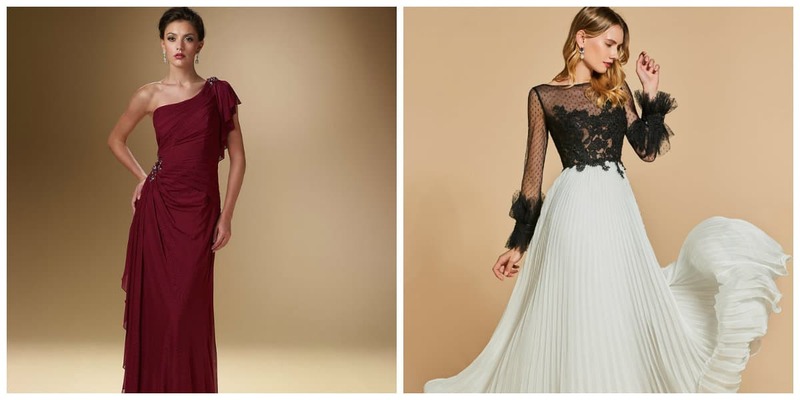 In case of formal dresses for women 2019, tailoring materials, such as silk, satin, guipure are in trend. For plus size girls, the dress can also be suitable if you wear the correct underwear. A balloon style dress was named because of an unusual oval-shaped skirt. It can be a flared or a straight cut, like a wide pipe. In the waist area, the fabric is gathered in small folds, and the bottom is folded and sewn to lining. Due to this, the original volume is formed. The top of the dress is like a corset. Shoulders can be both open and closed. Cutout can have any shape. For tailoring such dress, well-draped fabrics are used: satin, silk, etc. The color can be any, from neutral colors to the brightest. Baby-doll models are ideal for young slim girls. All attributes of clothes for children are inherent in them, such as ruches, sleeves in form of a flashlight; all kinds of bows. At the same time, the dress contains provocative moments inherent in adult clothing: transparent inserts, cuts of different depths, etc. Due to this, the look seems innocent and stunning at the same time. The dress has a high waist and a fluffy skirt. Skirt can be multi-layered. This model is not recommended for overweight girls. It is also contraindicated for women who are over thirty-five. Otherwise, the style looks comical and even vulgar. Dresses with high waist are in semi formal dresses 2019 trends. These dresses will form the basis of the look. In addition to the fact that they look unusually attractive and feminine, they also amazingly transform the figure of their owner. Accent on the shoulder line is in trend. This is a hot trend that only recently descended from the world’s catwalks and set off to conquer the world. It has a strong influence on the development of fashionable taste of women. 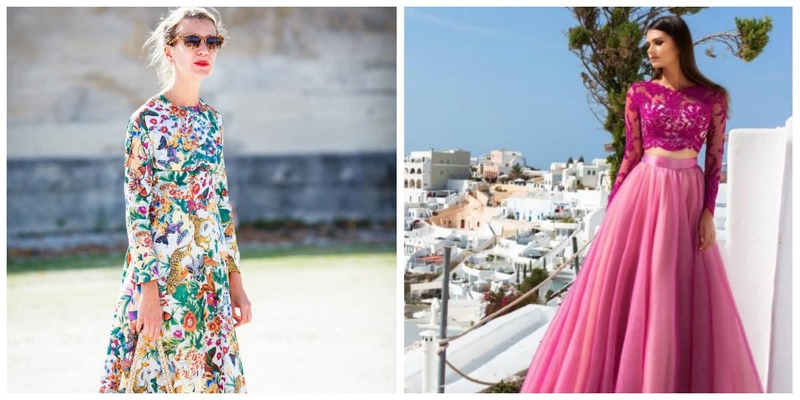 Oversize semi formal dresses 2019 is a bold decision for extravagant mods. Women who are more attracted by new fashion, need to purchase models of dresses of oversize style, which have a free form. Safari style is also in fashion. Girls who prefer to lead an active lifestyle will definitely pay attention to safari models. Retro style and its elements are in trend. Trends of the new season are not deprived of attention of the fans of retro-style, who are more often found in photos than in real life. Therefore, in 2019, the designers decided to eliminate this flaw. They created models of retro dresses that simultaneously correspond to all fashion trends and don’t lose their true look. Since the listed colors themselves have a noble and expensive look, then the dresses made in these shades adopt these qualities. Actual dresses of this season can be made of white and black fabrics. Such combinations look stylish and elegant. This is an ageless classic that almost never goes out of style. It doesn’t lose its relevance even despite the fact that the team of the Institute of Pantone announced trendy fashionable bright and saturated colors.